Even when in japan, Optimus Prime could always fit in. Okay Mr. Fancy pants, back the lumber up to dock 3. 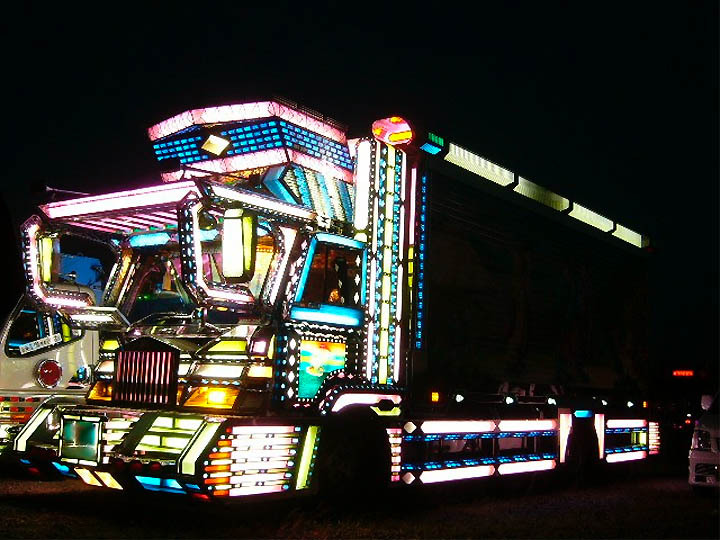 Optimus Prime at Mardi Gras. "It may be easier to film at night but I think folks are going to draw the line here, Mike."